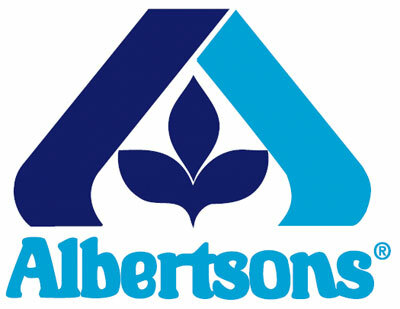 Albertsons is an American supermarket chain that is owned by SuperValu Inc. and Cerberus Capital Management and is headquartered in Boise, Idaho. Let’s take a look at distribution center opportunities at Albertsons. Albertsons was founded in Boise, Idaho by Joe Albertson.The first store was very successful and after World War 2, the company grew steadily. In the 1990s, the company went through series of acquisitions and expanded rapidly. However, in the year 2005, the company was up for sale due to its inability to compete with competitors. It was bought in the year 2006 by SuperValu Inc and Cerberus Capital Management. Today, it has over 200 locations and employs more than 2,34,000 people. There are several job opportunities at Albertsons warehouses. You can choose to work as a general warehouse associate, maintenance mechanic, warehouse order selector, quality control inspector. As a maintenance mechanic, you will be conducting preventative maintenance of warehouse equipments and repairing any damaged equipments. This position usually requires prior experience and experience handling warehouse machinery. As an order selector, your job is to select merchandise ordered by stores. As a general warehouse associate, you will use forklifts and hand trucks to move merchandise, label and palletize merchandise and perform other duties in the warehouse as assigned. You can also work as a Loss Prevention officer where you will be in charge of the protection of all of Albertsons’ assets. You will report incidents of theft and safety violations to the supervisor. To work as a Loss Prevention associate, you will need to be well aware of the company’s security policies. Prior experience is usually required for the position of Loss Prevention associate. Employee Stock Purchase Plan, 401(k) Retirement plan, Tuition Reimbursement, Health benefits (medical, dental, vision), Disability insurance, Adoption assistance, paid time off, paid vacation, sick leave, discounts on Albertsons services. The average salary for a Receiver at Albertsons is $15.94/hr with the lowest reported salary being $10/hr and the highest reported salary being $21/hr. The average salary for a Loss Prevention officer at Albertsons is $14.41/hr with the lowest reported salary being $14/hr and the highest being $15/hr. You will be queried on the contents of your resume or might be asked to walk the interviewer through your resume. That is all about warehouse job opportunities at Albertsons. As far as employee satisfaction goes, the response is largely neutral and 54% approve of the C.E.O Bob Miller.